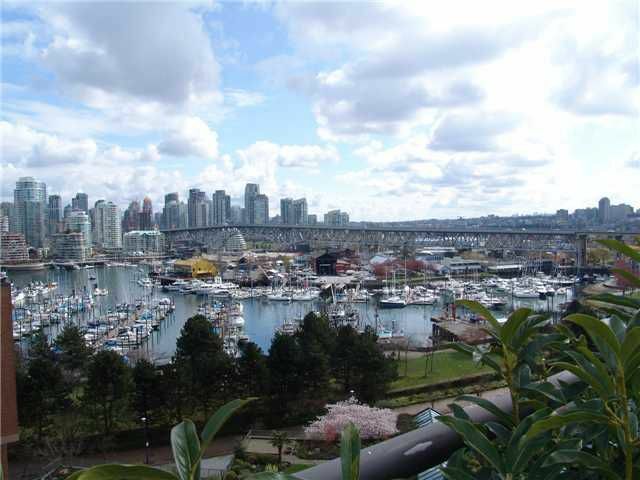 Set on the False Creek seawall at Pennyfarthing this spectacular 2500 sq ft executive penthouse with ENORMOUS 769 sq ft DECK offers PANORAMIC VIEWS of False Creek, English Bay, Granville Island, the marina, the city & the mountains. Ultraspacious layout includes 2 bdrms, 3 baths, office, large family room off the open plan kitchen w/large eating nook & solarium. Expansive living room (25' x 20'!) features dramatic art deco gas fireplace & recessed in-ceiling lighting. Privately set master suite w/walk-in closet. Updated kitchen with new SS appliances & stone counters, new carpets, & freshly painted throughout. 2 parking, 2 STORAGE LOCKERS. Great amens incl indoor pool. Rentals allowed. Pets not permitted.